Long Sleeve made by NoPinz with NoPinz Number pocket. Team SCOTT UK Cyclo Cross Team Skinsuit. Very good condition - small mark just below the U on the front, may wash out. I am 34" waist, so would suit poss 30" - 33" wais. 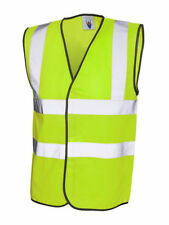 Endura Windchill II Cycling Gilet. Size Small, S.
Endura Windchill II Cycling Gilet. Size Small, S. Bought six months ago and missed the window to return to the shop. Item is brand new and has never been worn. Review here: https://www.cyclingweekly.com/reviews/gilets/endura-windchill-ii Dispatched with Royal Mail 2nd Class. Nukeproof DriRelease Tshirt. Made with moisture wicking, fast drying, odour control fabric that feels soft on the skin. Main logo on front of T. Size XL. Condition is New with tags. Please see my other items for sale! High-quality t-shirt in great condition. Product Details Material: 70% Polyester, 15% Nylon, 15% Spandex. For sale is a Raleigh pro team aero cycling limted edition skinsuit size XS. Whether you’re commuting or trail riding, the Endura Hummvee Trouser II will perform. Part of the iconic Hummvee collection. Zipped hand pockets, cargo pockets and large rear map pockets. Rear elasticated waistband and adjustable belt. Neck Longsleeve Baselayer. - The Transfer Zip Long Sleeve Baselayer provides comfort during cold weather activity with its ergonomic collar, deep zipper for venting, and fast drying P.R.O. Transfer fabric with Minerale. A pair of retro, genuine ex-army bike gaiters. Made in 1950s or 60s. 100% cotton, breathable. Olive (brownish) in colour, shade may slightly vary. With UPF 50 sun protection and coldblack® technology that reflects UV and heat rays so even dark colors don’t get hot, this tank will keep you cooler. Zoot's proprietary stitch maximizes stretch, provides next-to-skin comfort, and minimizes chafing. 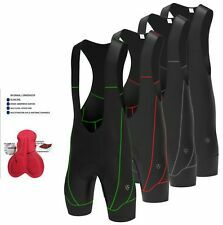 Nopinz Body Body Suit, Skin Suit, Trisuit, Women’s. MENS RETRO BLACK NALINI BANESTO CYCLING BIB SHORTS PADDED SHORTS SIZE 7. 3 Hole look cleat mounting. BSD BMX T Shirt. Condition is Used. Dispatched with Royal Mail 2nd Class. 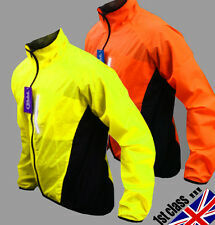 Endura MTR Spray Pullover Jacket. waterproof panels where needed the most combined with lightweight wind proof panels. Light, packable and versatile. Detachable hood. Size - Medium New with tags. Colour : Blue / White. For sale a British cycling climacool technical t shirt T shirt has been worn but looks brand new Size 40/42. M/L Also got the same shirt in white.